The rise of Netflix and online streaming means that a lot less of us are watching cable like we used to. It’s quite apparent that technology companies have moved to favor streamers. Even modern TV’s include the Netflix app, but many of them cannot access OTA (over the air) broadcasts. Alternately, may consumers may find that they no longer own a TV, and prefer to get local broadcasts on their computer. Some even turn to questionable video streaming websites that can potentially infect your computer. Fortunately, there’s a way to access high definition television for free. In fact, the service is likely already installed in your home! This is an excellent way to get access local programming, news, and much more. The most common way is through ATSC broadcasts. Remember that pair of rabbit ears you had on your old television set? That same technology is back and more powerful than ever. Now, you’re able to get crystal clear high-definition streams with no noise or dropouts. Most urban centers have many channels to choose from, although even rural cities usually get at least one local channel. Alternately, you can choose QAM service. QAM is the technology used in digital cable TV. If you want to access the paid channels, you’ll need a digital cable box. But did you know that every cable company has a couple of free channels as well? All you need is a digital TV tuner, and you’ll get access to local news, sports, and television free of charge. If this sounds like a good deal, let’s take a look at the best USB TV tuners and see which is right for you. Here’s a company that’s well known for its digital media products. The HAUPPAGE WinTV HD TV Tuner is one of the top of the line models in TV tuners, and gives you all the same features you’d expect from a fully featured cable box. This tuner supports both QAM and ATSC, giving you multiple ways to access your HDTV. The tuner will not work on a Mac, but it’s compatible with every version of Windows from Vista all the way up to Windows 10. It includes a standard size coaxial connection, allowing you to use antenna or cable on the market. No need to get locked into proprietary accessories. Everything you need to get started is included in the box. Instead of relying on Windows Media Center, HAUPPAGE has their own tuning software called WinTV. At first, we were a bit apprehensive about the lack of compatibility with free software. Fortunately, we found that WinTV is an excellent program. The menu is intuitively laid out. It’s easy to navigate your way around the menus and find all of the different features you might want to use. What we found particularly useful was the television guide and scheduling app. When you first set up the program, it will ask you for your location. It will then find the local TV listings in your area, and let you easily check the schedule. If you see a program you don’t want to miss, you can simply right click it and select record. This will cause the tuner to wake your computer up, even if it’s off, and begin recording your program. The best part about this recording feature is that this tuner can receive two channels at once. This way, you’ll be able to watch one program while you record another. The initial setup procedure was not as simple as some devices. You have to put the CD in and install both the driver and the tuning software. But once you’re done that, the tuner is incredibly easy to use. There was no learning curve at all, we simply knew what to do instinctively. The included antenna is portable, so it’s nice and compact if you’re on the go. Compared to some of the bulky, awkward antennas on the market, this one is very easy to use. We found that reception was clear in virtually all parts of our house. If you’ve used analog TV before, you’ll surely remember how distorted and unclear the signal could get if your reception was poor. Digital TV works a little differently. Your signal will never get distorted, it will simply stop. So the symptoms of bad signal aren’t just annoying, they make it completely unwatchable. If you’re in a basement suite with particularly bad signal, the portable antenna could cause you problems. But fortunately HAUPPAGE has a solution. The included USB extension cable is quite lengthy. This means that you can place the antenna by a window or in a corner of your room where you get good reception, and still enjoy your program. The Xbox One is a very capable media center. Some say it may even be the ultimate home media center. But the one major drawback of the Xbox is that it cannot receive digital TV. HAUPPAGE set out to fix that, and this USB TV tuner is the result. 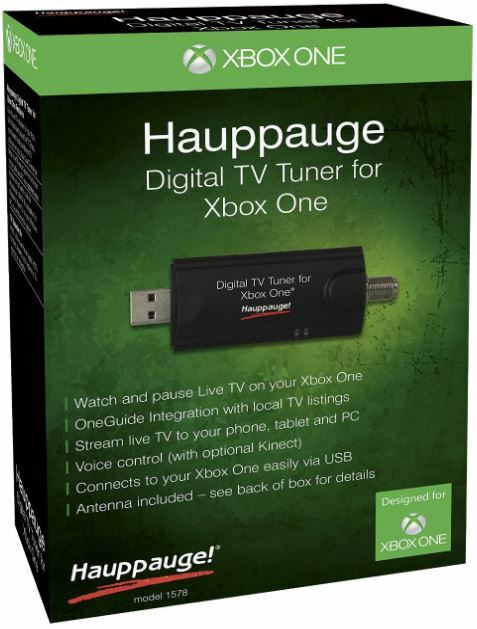 The HAUPPAGE Digital TV Tuner for Xbox One is compatible only with the Xbox One, but that means that it is incredibly easy to use. There is no software to install, and no settings to configure. You simply plug it in, attach your antenna, and you’re ready to start watching live HDTV immediately. However, it’s important to note that this tuner will only receive over the air ASTC service. Connecting it to a cable or QAM service will not work. This is currently a restriction with the Xbox in general, and not specific to the TV tuner. Everything is controlled through the Smartglass app on your Xbox as well as the One Guide. This makes the entire system incredibly intuitive to use. The first thing you’re going to want to do is go to settings, TV&One Guide, then select the “Set up Live TV with Your Xbox One”. This brief tutorial will help you set up your current location, TV guide, and ensure that your signal strength is strong. Once that’s done, live streaming TV is just one button press away. You’re One Guide will be populated with all of the local channels available in your area. You can view the TV listings, set a recording time, or select a live channel to watch. The build in media center functions also allow you to pause, play, fast forward, and rewind live TV in case you need to take a break or skip commercials. Once again, we have excellent signal quality with this tuner. However, it’s worth noting that the included antenna is a simple telescoping model. This is similar to what you’d see on a wireless router, although the antenna can be extended upwards of needed. In some rural areas a remote window-mounted antenna will be necessary. Fortunately, these can be purchase quite inexpensively. But if you’re in an urban environment, you’ll have no problem with reception. It’s also worth noting that this is a single-reception tuner. If you’re recording one channel, you won’t be able to view another. AverMedia has plenty of digital multimedia products available for home and portable computers. The AVerMedia AverTV Hybrid Q TV Tuner takes all the features you’d expect, and adds a pile more. Not only does this tuner receive both ATSC and QAM reception, but you’ll also be able to receive old analog channels! If you’re in an area where they still broadcast standard over the air television, this is one of your only options to enjoy live TV on your computer. 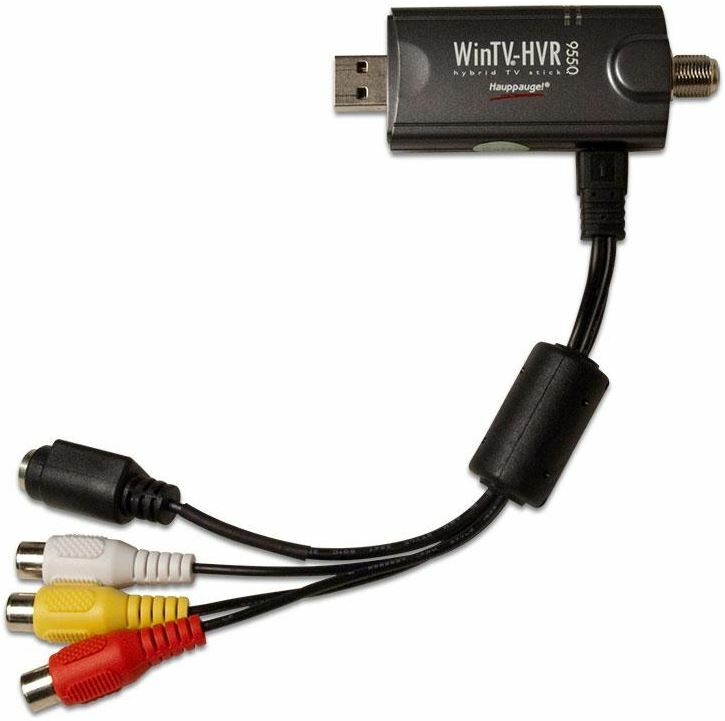 With an adapter, you’ll also be able to receive analog input from your old VCR, DVD player, or home video camera. This will give you the option to digitize these keepsakes so you’ll have them forever. You’ve got two options for the AverTV hybrid Q receiver. 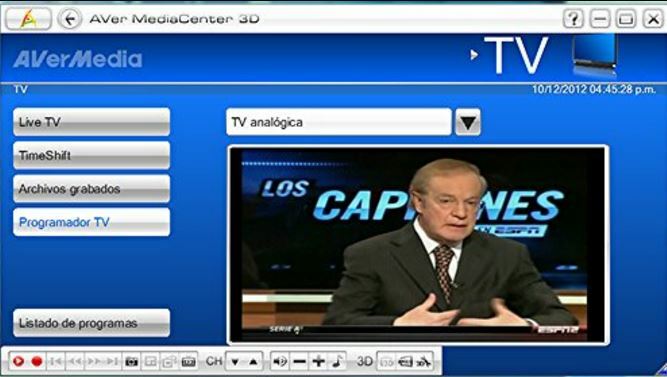 You can use the included and competent MediaCenter3D DVR application, or you can use Windows Media Center. Both work perfectly. Every feature of Windows Media Center is supported. You can schedule recordings, view subtitles or closed captions, and use any standard DVR function such as pause, play, rewind, and record. When you use the included MediaCenter3D application, you get a lot more features. You can do everything that Windows Media Center allows you to do, but there is also a powerful web streaming component. With a little set up, you’ll be able to access your recorded or live television shows by logging in with your user name and password. Unfortunately, this does require that your home PC be left on in order to access the files. But if you’re using a laptop, you can just bring the laptop with you and play the files locally. You can also stream the files to your iPad or iPhone with their mobile app, although it doesn’t currently work on Android. We found the reception to be pretty good with this little receiver. The antenna is nice and large, so even if you’re in a rural area you should still have no problems with signal dropouts. However, it’s not incredibly portable. If you want to take the tuner with you on the go, you might be better off with a portable antenna. 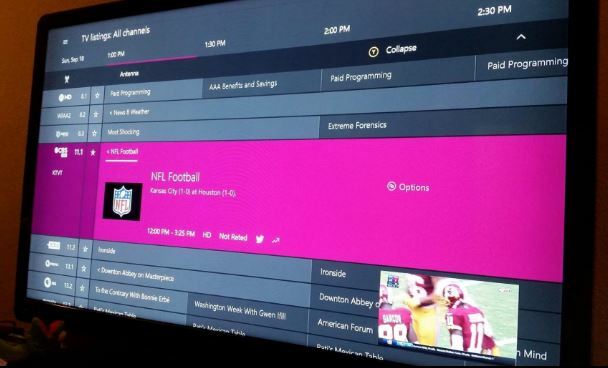 Then again, since you can stream locally there is no reason that you can’t leave it plugged in to the family desktop, and use any number of your mobile devices to access live TV. 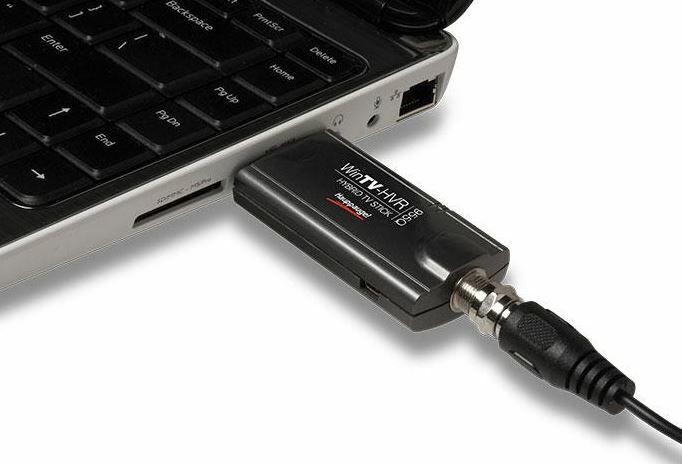 So, Which USB TV Tuner is Right For Me? No matter what your needs, one of these TV tuners is sure to meet them. Of course, this depends a lot on your area, and what kind of television you plan to be watching. You might want to do a quick google search and find out what OTA TV stations you receive in your area. Are you close to the broadcast or far away? Do you have a strong technical ability? If you just want everything to be simple, we’d highly suggest that you check out the HAUPPAGE Digital TV Tuner for Xbox One. This is the easiest to set up, and requires almost no configuration beyond entering your current city. In fact, if you have Xbox Live this is already taken care of for you! But not all of us have Xboxes, so the next best option is the HAUPPAGE WinTV. This will work with any windows PC and is incredibly easy to use. Plus, you’ll be able to record one show while you watch another! But for those of you who are a little techy, the Avermedia AverTV is an amazing choice. Not only is it the best deal around, but it has plenty of advanced features that bring over the air TV into the future. It does require a little extra set-up, however, so you’ll probably want to make sure you’re comfortable performing basic configuration tasks. No matter which you choose, we’re certain that you’ll enjoy getting free live TV. The AVERMEDIA H837 works fantastically. No issues and I’ve been enjoying it for roughly 6 months now. 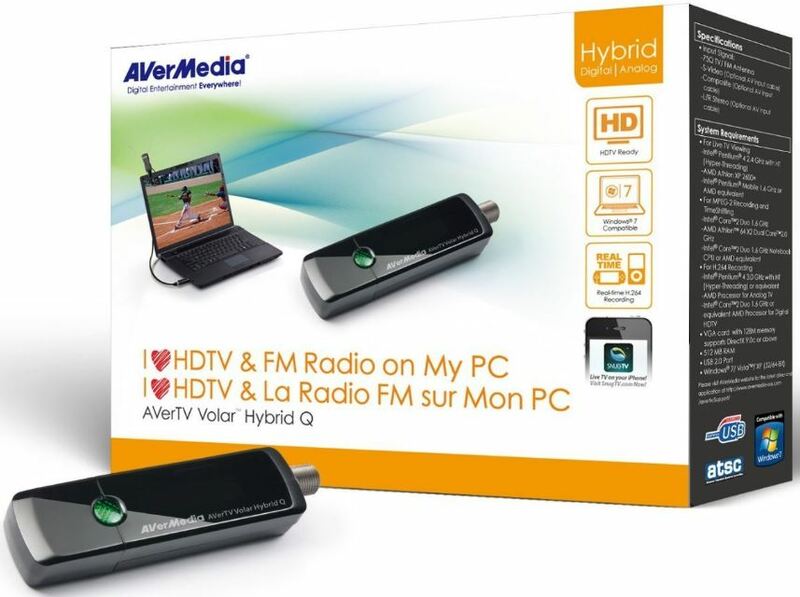 I have an Avermedia AVerTV Volar Green HD stick. It will not allow me to pause live TV. Am I missing something or can I buy an upgrade? The “Hauppage Digital TV Tuner for Xbox One” is just the 955Q (also mentioned in this article) with a different packaging and marketed cheaper. Those 2 devices are IDENTICAL in every point except for the sticker. There is no restriction to only run Xbox. I have one and it works perfectly on Linux.